Last week I found myself in a what we thought was a traditional working mans pub that turned out to be a quirky and Pinterest worthy bar on Lothian road accompanied by two of my oldest and dearest friends. We drank over-priced but delicious cocktails and found ourselves discussing everything from body image, showmances, dream dinner party guests and dairy free diets. I almost should have had my voice recorder on from the minute we sat down as dining and drinking with the beautiful, eloquent and seamlessly talented Rachel Flynn enables me to just chat away about her life as a successful actor without feeling like I'm interviewing anyone at all. Between myself and our other drinking mate Kirsten we grilled Rachel on the trials and tribulations of auditions, agents and London life in between the completely necessary love life analysis and intense examination of the lengthy cocktail menu. 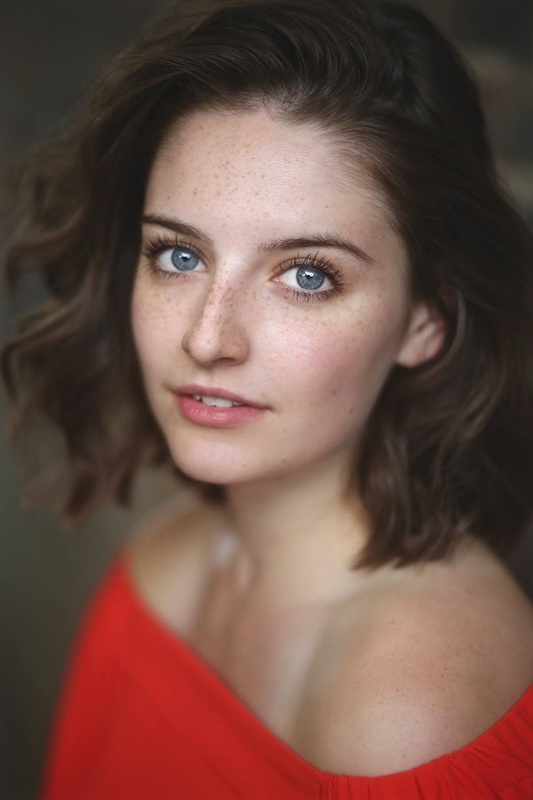 Rachel who this Christmas fulfilled a childhood dream of playing the princess in the Edinburgh King's Theatre Pantomime, and has been a successful working actress since graduating from the prestigious LSMT theatre school in London in 2014. 'I was about sixteen when I thought actually I want to be an actor, after convincing my mum that I wasn't going to be a lawyer. Then it was sort of all go from there'. From growing up with Rachel I knew that she was probably more than capable of becoming a lawyer as she was very academic, admitting to being part of the debate society and maths club. 'I think the more understanding you have of the world in general and knowledge you have the better actor you are. You are just a lot more well rounded and equipped to research a character and understand this other persona you are taking on'. 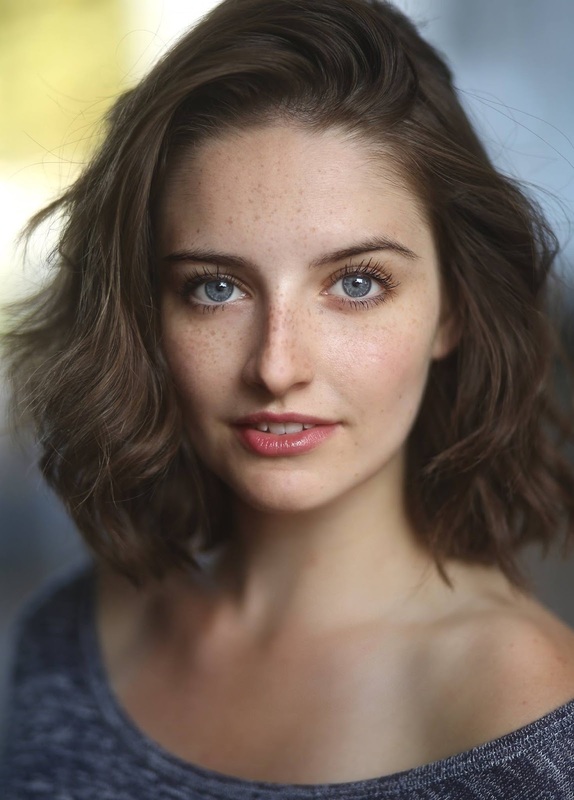 She studied at Motherwell College in Glasgow and then naturally progressed to further training in London where she juggled work and intense hours at stage school. Rachel who despite from the age of 14 being the most prepared and most rehearsed person in the room felt the pressure of the industry immediately. 'Straight away I had to identify my strength and weaknesses, make sure I was on top of everything so I'm the most employable person I can be. I also think positivity is so important especially when things are tough. People want to work with happy and upbeat people, who are willing to give suggestions and put in that little bit extra work. You have two types of actors people who can look at a script then take it and put their own spin on things, really own it. I'm definitely that kind of person I want to take risks and be fearless, really delve into a directors vision. There are other extremely talented actors who work better with specific direction and guidance, which some directors prefer because they are creatives and have an exact vision they want an actor to portray'. Rachel spoke of how as an actor this can be difficult because you don't always have the freedom to be creative and sometimes you have to put your head down and get on with it even if you don't feel like it's right. 'I would probably say that's my biggest weakness, I really need to know why my character is moving over there, not just because there is a bit of set that needs moved. It can be hard but there are so many parts where you do get that freedom and it feels amazing, and it's why you do it'. In such a competitive industry Rachel's natural drive and determination has definitely helped her stay focused and go above beyond. 'When you go to drama school they quickly tell you what your casting is your leading lady or triple threat ensemble or the girl next door and I never really knew what I was, I still don't. You have an idea of where your own strengths lie but it is actually really important to have the courage to trust in somebody else's opinion of you.' Rachel spoke about the pressure of looking a certain way for meeting casting requirements. 'I've been told to lose weight before. It's never horrible, it's just a would Rachel slim down a little bit for this role and I've lost out on roles because I'm not slim enough. It is a lot of pressure, I know girls I went to school with have eating disorders because they think that they need to be super thin to work in this industry. In dance auditions there are girls there in crop tops and shorts with abs and I just think how can I compete? But I know that yeah these people look amazing but and I know this to be true talent will carry you through'. I personally think that the theatre land is maybe the most behind with diversity in body types. 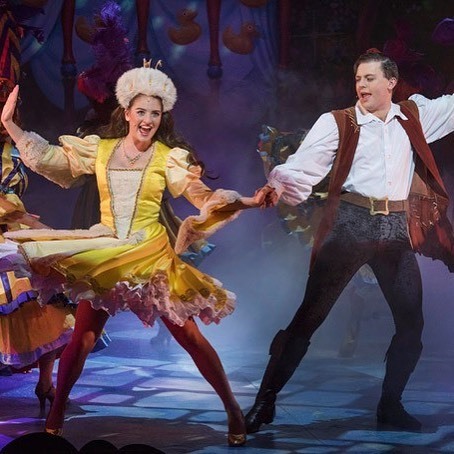 Arguably to be a triple threat on the West End in theatre and perform 6 or 7 nights a week you do need to be super fit but do you need to be a size 8, not really. I then went on to ask Rachel about what she thought about diversity in the London theatre world in general. 'While I was training just before I came out into the industry it was such an issue that the West End was so white and they were really trying to colour blind cast. If there is no ethnic specification then why can't Epinone be racially diverse, and it has happened a bit which is great. It's great now though because actually at the minute there are so many shows in London that offer roles to all different types of ethnicities. Motown, The Lion King, Dream Girls and Hamilton will be opening soon so things are changing and in the future hopefully there is a lot more colour blind casting'. 'The hardest thing about being an actor is the criticism. I got really upset recently over a horrible review and felt so insecure about my performance, but the other cast members were like Rachel come and read the six other glowing reviews you have. It's so subjective, you are never going to please everyone and not everyone is going to think you are wonderful, but there is nothing wrong with that. You are in the role for a reason and as long as you are giving your all then who cares if one person wants to slag you off'. Speaking with Rachel about her career, training and future makes it clear why she has had such success already. She is soon to join a luxury cruise liner as one of their lead singers which will give Rachel the opportunity to see some of the world which she is naturally looking forward to. As a once budding actor myself I know it is genuinely one of the hardest professions in the world and Rachel is succeeding against all of the odds. There are so many cheesy and predictable phrases I could use but I am going to go with you saw her here first because I don't think it is difficult to predict an extremely bright future for Miss Flynn. It has to be so tough being an actress and having to read negative press/reviews about you, but Rachel is right - one person's opinion doesn't mean it's right. It takes a strong person to see through that - and how stunning is she as well?! Being an actress has to be hard on you mentally, losing roles because you are not slim enough, being told to lose weight and having to read reviews of your performance. You must really have to be pretty thick-skinned to survive. This was a great interview! You see celebrities and forget about the abuse and criticism they receive by cruel people. They deserve and award for their thick skins! I really enjoyed this interview. Rachel seems so level headed. It must be hard to deal with comments about your body. I think you need to be a strong person to act. I couldn't do it as I couldn't take the criticism. I think u have to be really strong to be in the acting business especially when it comes to criticism. It's not an industry that I could ever see myself being able to ever feel comfortable in. I can't even imagine the pressure of being an actress these days. Good interview! Great interview. I always like to hear how people got in to the business. How exciting to join a luxury cruise liner and travel he world while doing something you love! A really interesting read. It's great to hear from an actress with such a balanced, sensible view on the industry - it can't be easy hanging onto that! This was a really interesting read! When I was growing up I really wanted to be on a west end stage, I know a lot of people who do this and who are trying and it does seem very competitive and sometimes a bit gruelling! This is such a fun post, I would have loved to move into west end acting! absolutely beautiful, her experience and herself. random but i love her freckles. The Ordinary is it worth the Hype?